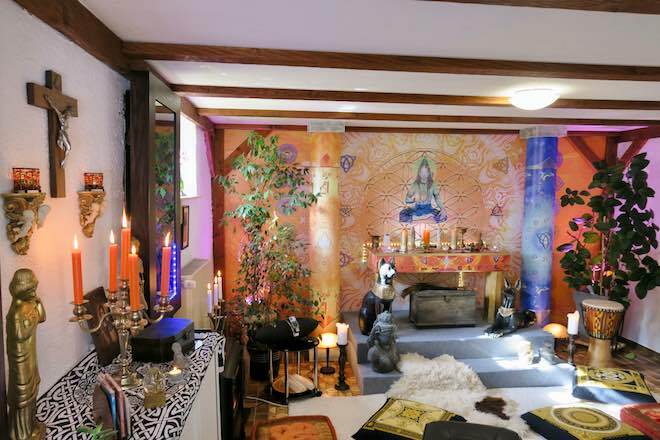 Find balance, peace and new impulse in our open initiated rooms, where individual counselling — as well as meditation seminars and lectures on white magic, voodoo and spirituality — take place at regular intervals. 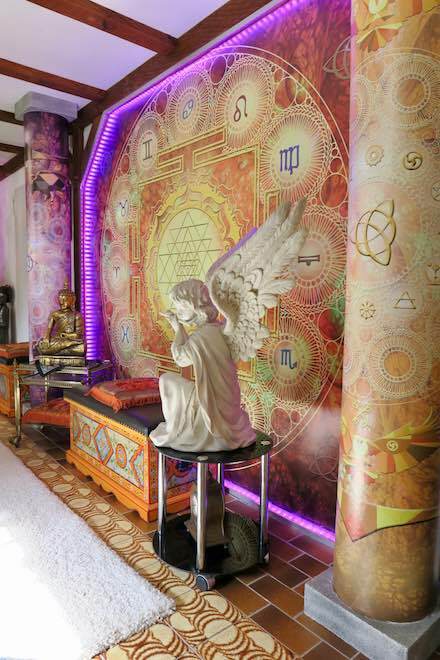 Everyone is welcomed to come and experience the deep spiritual tranquility of our white magic temple. 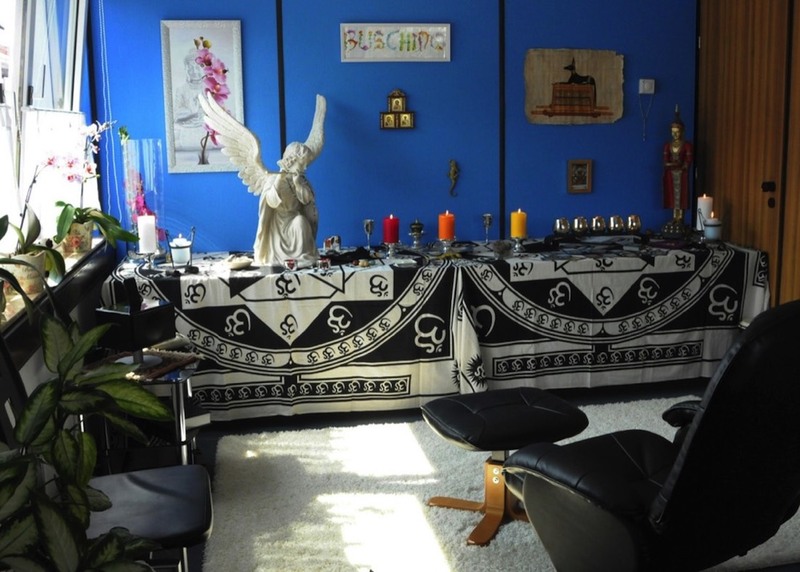 In our White Magic Centre, we also perform all kinds of rituals for our clients and clean them from negative energies. 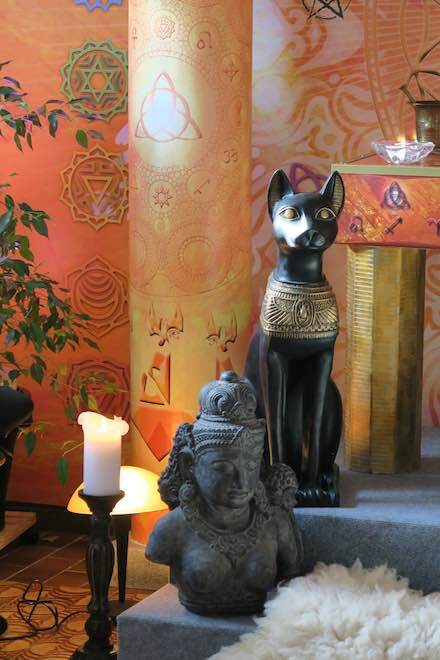 Our Centre for White Magic, Meditation and Spiritual Development is located near the picturesque Ahne Park, which reflects and accentuates the peaceful, spiritual atmosphere of our centre. Click on the images to see our centre in greater detail. If the personal and spiritual development is your way of life, one day you will certainly get, what you're looking for…. Or maybe not….. Maybe you will get something much greater than that! Our centre is the perfect place for businessmen, managers and entrepreneurs to relax and recharge their batteries in a calm and peaceful atmosphere. Need to relieve tension? We are extremely proficient with the treatment of Burnout syndrome using meditation techniques. 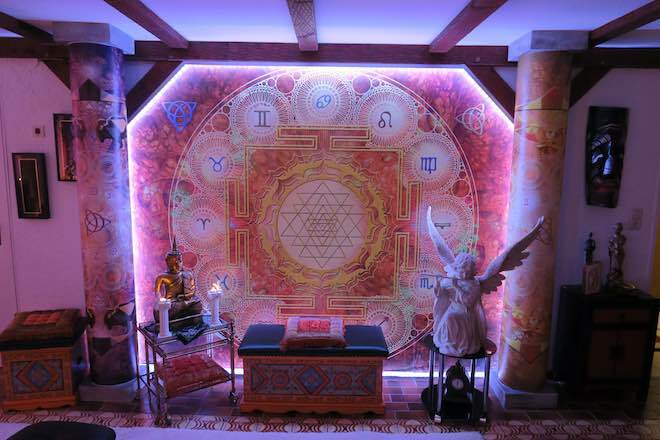 White magic rituals and transfer of mental energy round off the successful treatments. You can reach us by phone and email during the working day from 10:30 till 19:00 and at the weekend from 13:00 till 17:00.